Sup-R Band® is made from a premium latex free formula and excels compared to other exercise bands. Now packaged in 5-foot Singles, these exercise bands are convenient and affordable. SUITABLE FOR EVERYONE - These resistance loop bands are great for women and men of all fitness levels. Each exercise band offers a different level of resistance making it possible to work muscles throughout the whole body progressively and safely. Use the resistance bands for legs, arms, back or shoulders with any one band individually or multiple bands together to provide the right level of resistance for you. VERSATILE - Suitable for CrossFit, Yoga, Pilates, Fitness Training and ideal for increasing strength and mobility. 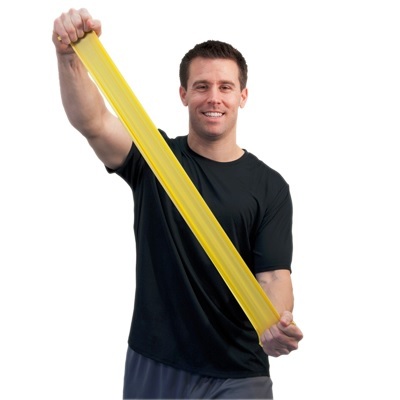 Use of resistance bands / stretch bands can help to strengthen stabilizing muscles which may help to prevent injury or assist greatly in injury rehabilitation. 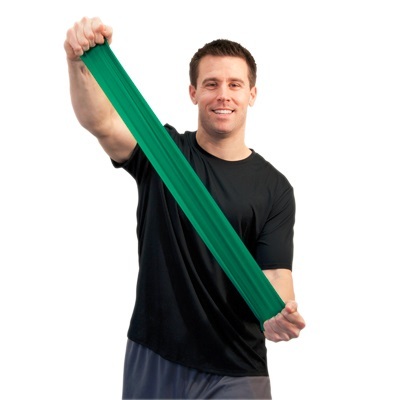 PREMIUM QUALITY - These 5 ft long and 5" wide exercise bands are durable and built to last. They can be stretched repeatedly year after year unlike many other fitness bands or physical therapy bands. They are also made from Thermoplastic Elastomer (TPE), non-latex and powder free. 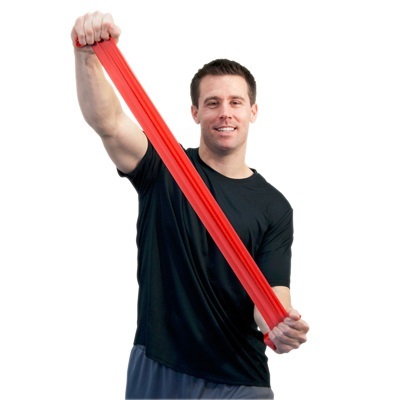 USE THEM ANYWHERE - The resistance band set can be easily transported to use wherever and whenever you want. The exercise bands fit easily into any carry bag or backpack. Get a great resistance bands workout in at home, in the gym, when travelling or as part of an exercise class. Blue does not provide as much resistance as hoped. Works fine, but need to go up to silver, on next purchase. Q: What size are they and do they come one per package? Are they old or have defects? For full product details, please refer to the Product Description. Each band is 5 ft long and 5" wide. We do not sell any "old" or defective products. The bands are sold individually and come packaged in the same way we receive them from the manufacturer. Q: What is the reason I am not able to add Sup-R Band Latex-Free Exercise Bands with 5 Levels of Resistance to the cart? It may be because there isn't a complete item number. It is because the Sup-R Bands are sold per individual band, not as a set of bands, so it is required to select the Resistance Level of the band that you would like to purchase on this page before you can add it to your Cart.